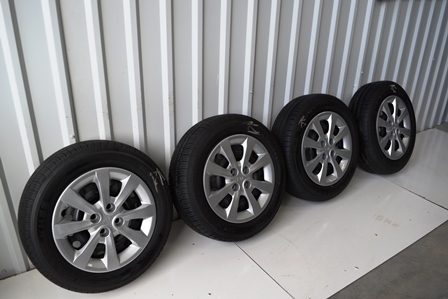 OEM Kia Wheels and Tires for sale. 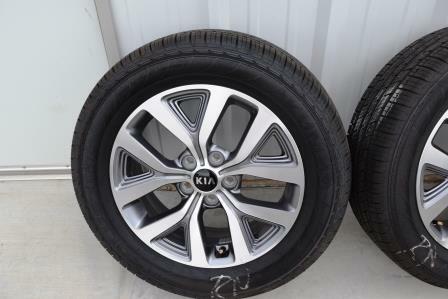 Kia Sportage 17 inch wheels – OEM Factory Dealer Take Off wheels with Kumho Solus P225 60R17 tires. Like new, very good condition fits 2014, 2015 and 2015 Kia Sportage cars. 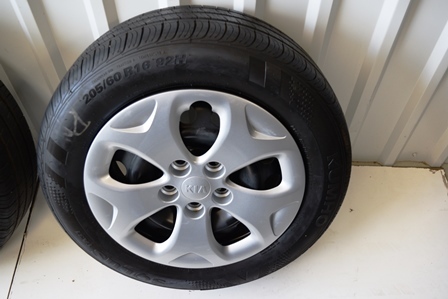 Kia Rio OEM 15 inch wheels tire package. Originally fit 2012 to 2015 Kia Rio models. Kumho P185 65R15 Holus KH25 tires, like new tread. Kia Soul originally fit 2014 2015 Kia Soul 16 inch oem factory wheels and tire package. Comes with like new dealer take off Kumho Solus TA 31 tires. 5×4.5 bolt pattern. P205 60R16. Kia Soul 2014 2015 OEM Factory 15 inch wheels, tires, center caps included. 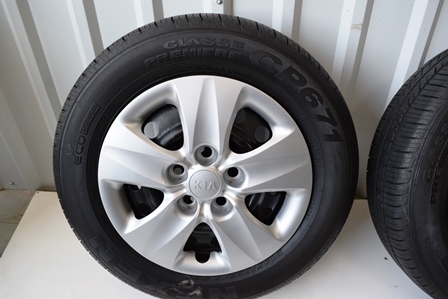 P195 65R15 Nexen Classe Premier CR671 tires. Like new dealer take off.